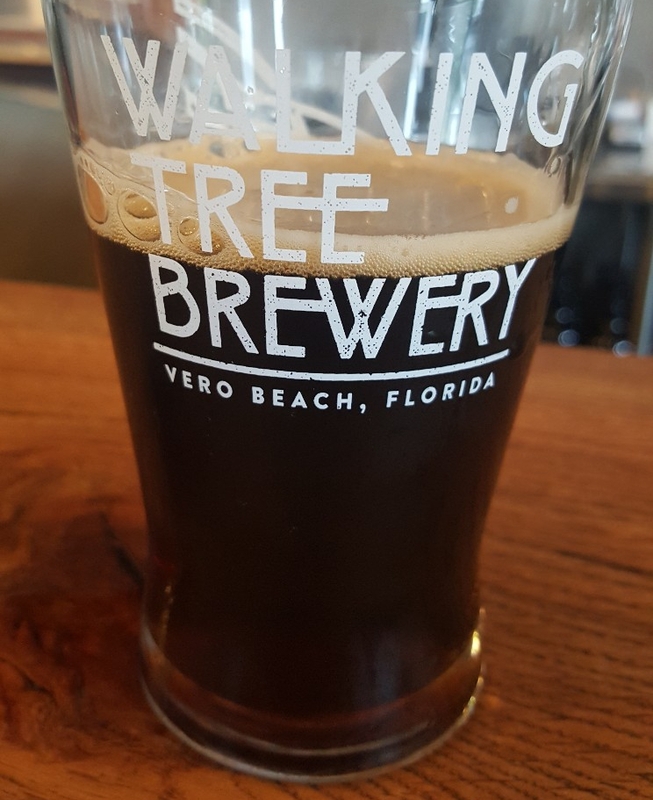 Walking Tree Brewery is located in Vero Beach’s Dodgertown area, incredibly close to the airport in a giant warehouse previously used by the U.S. Navy for storage. That was merely one hurdle for the team to clear, since the airport owns the land, the city owns the building, and it took five teams of lawyers to get the lease signed. Bu it is signed and co-owner/Vero native Alan Dritenbas – my guide for the day – assured me the brewery won’t be going anywhere anytime soon. 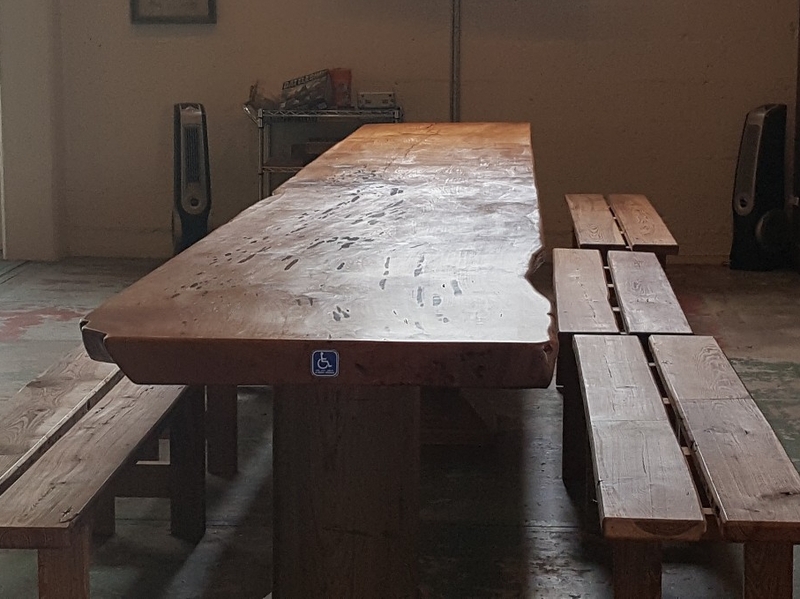 It’s a gorgeous space, with an abundance of real tree counters and tables worked on by the Walking Tree team including Alan’s recently departed father. 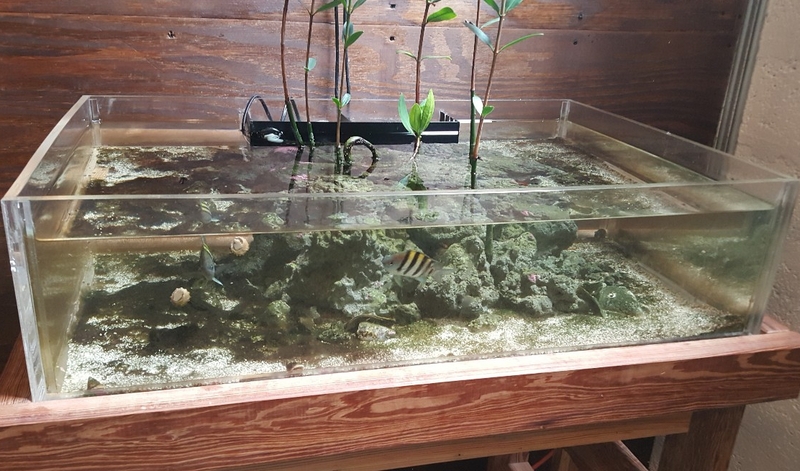 Over by the restrooms (and they built the metal partitions themselves as well) is a tiny tank with a mangrove tree, the plant that gave the brewery its name. 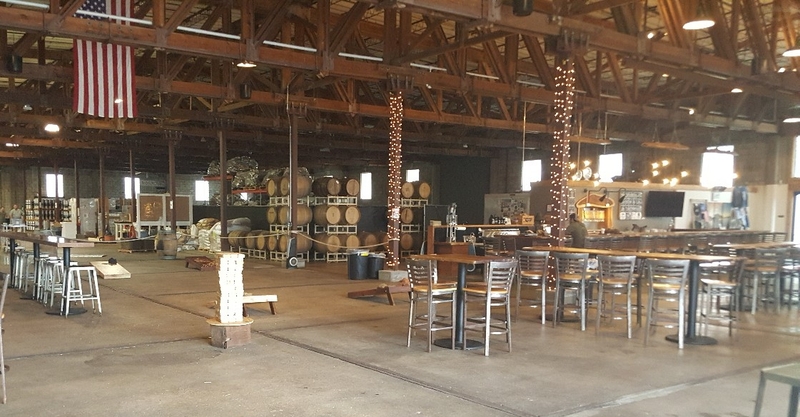 It’s some sort of federal law that makes going through a brewery on a tour without a beer in your hand. I chose Brackish Brown Ale (Brown Ale, 4.3% ABV, 18 IBU) because I love a good brown ale. And yes, this is a good one, with a wonderfully malty rich taste and a soft hint of nut. I also love the word ‘brackish’ (a mixture of fresh and salt water found in coastal estuaries, home of the white and red mangrove. 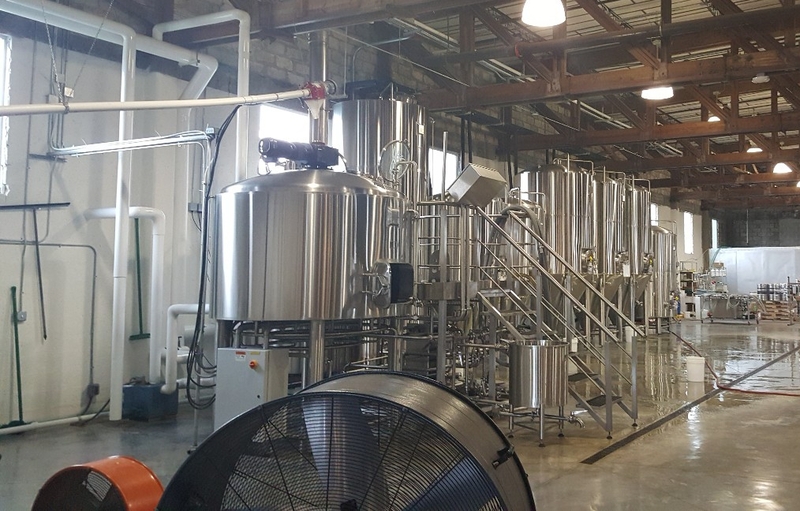 They decided on a 20 BBL system, with brewing system and tanks built by St. Petersburg’s BrewFab. Brewmaster Anthony Turano was there, running around getting some items ready for their upcoming collaboration with Hourglass Brewery. There’s plenty of space for him to run around, and they can easily bring in some 100 BBL fermenters with no trouble. Walking Tree has already started distribution with JJ Taylor, starting to spread around Central Florida. They have plenty of beer to go around, though, as Alan showed me in their sizeable walk-in cooler. The other thing he showed me in the cooler was a 1/6 keg of his new project, Oaked White Walking Tree (IPA, 7.1% ABV, 50 IBU). It’s their White Walking Tree IPA that has been aging in oak for a little while. 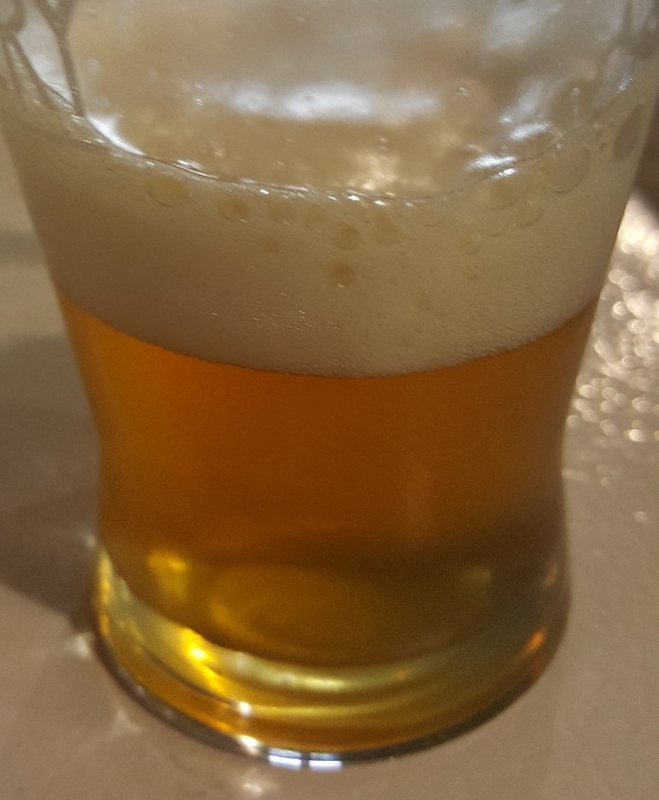 As a quick aside, it’s pretty awesome when the co-owner of a brewery pours himself some of a new beer, then ushers you towards the tap and merely states “go for it.” No, I didn’t go crazy. Just a bit to sample. Both Alan and I were amazed on exactly how much oak flavor there was. It’s not quite like sucking a tree, but it’s really close. Absolutely gigantic woody flavors with a surprisingly fruit-forward IPA that has a lot of solid alpha acids to play with. Keep an eye out for this release. 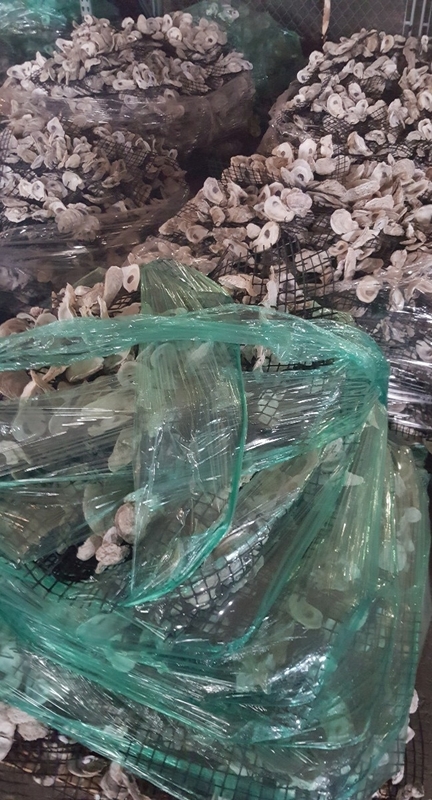 One interesting thing Alan showed me, tucked in the back of their general catch-all space, were piles upon piles of oyster shells attached to bar mats. Walking Tree is very environmentally friendly, and the oyster mats are part of a project to help clean the water in and around Vero Beach. By sourcing oyster shells from Orlando and making the mats, they will be able to give new oysters a place to grow. As those oysters grow, they end up consuming water around them and filering out pollutants. Some groups will just grab a bag of shells and chuck them overboard. The mats, while painstakingly long to assemble, provide more surface coverage with less material and isn’t prone to moving around with the tides. I’d love to see them release an oyster stout to raise awareness and funds for this project. 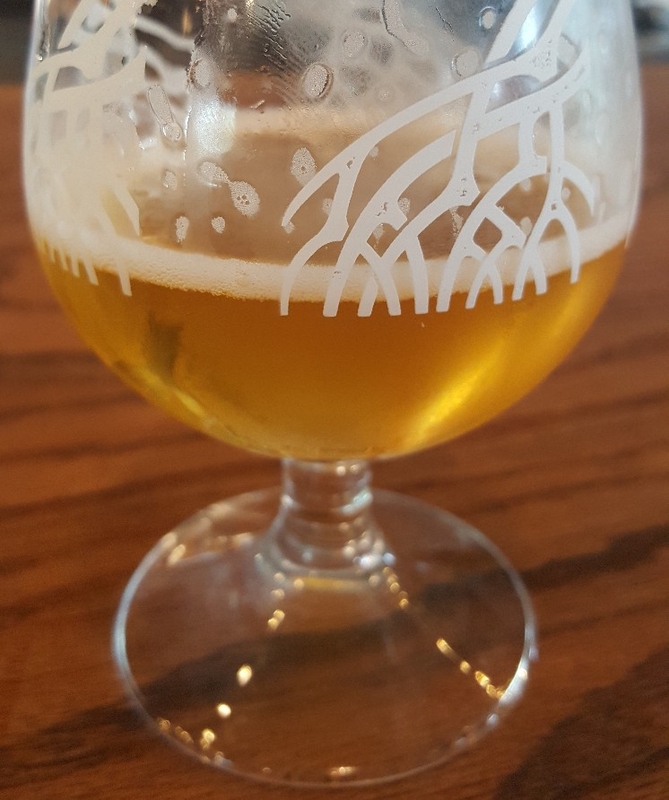 Last beer of the day, the simple and unassuming Straw Hat (Blonde Ale, 4.3% ABV, 16 IBU), a fantastically easy to drink blonde ale with a surprisingly spry sweetness courtesy of a belgian yeast strain. This, along with their Sandy Feet Hefeweizen, are the two beers most visitors that are new to craft beer start with, and for excellent reason. I left with a few crowlers, and I’m looking forward to getting into those soon. In the meantime. 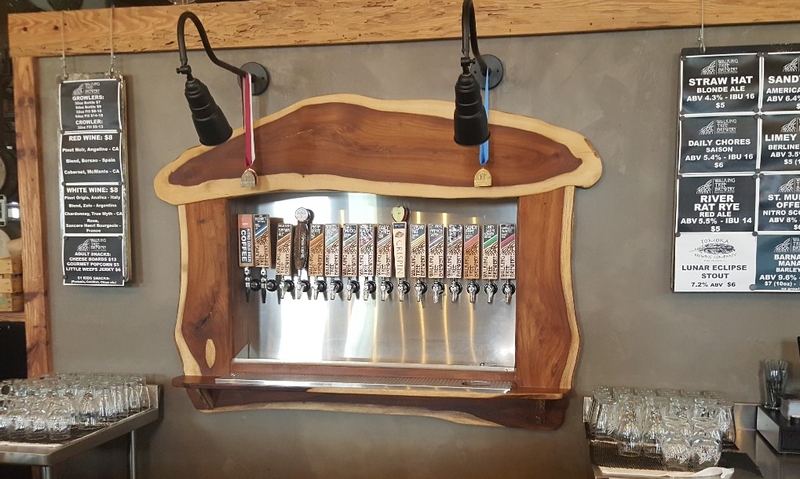 if you can make it over to them, Walking Tree’s award winning beers make for a good afternoon-evening of beer.